These are always a great gift idea. 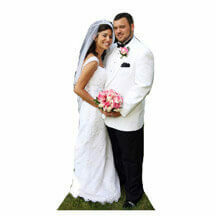 You can have your photo put on one side, both sides or wrapped all around. There are also lots of templates for special occasions like Mother's Day, Father's Day, Valentine's Day, Christmas and more. 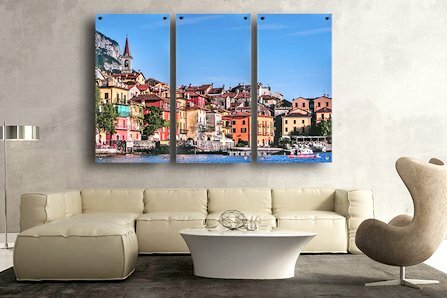 Some have a photo collage to add numerous photos to your gift. Use the search menu on the left to sort by theme or type. Turnaround time is only about one day in the lab; and these can easily be safely shipped anywhere. 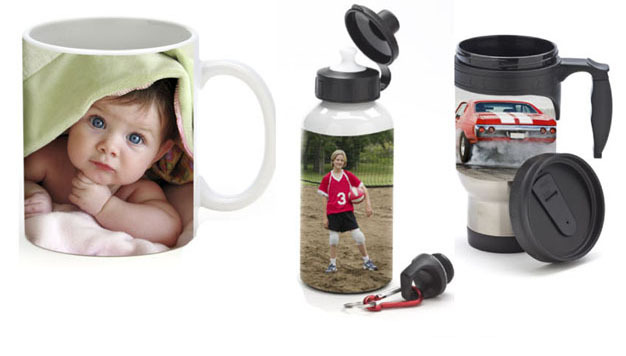 A mug with the image on one side is right handed (R) with the image facing the user when held in the right hand. A mug with the image on one side is left handed (L) with the image facing the user when held in the left hand. Coffee mugs are white ceramic and are dishwasher and microwave safe. Travel mugs are stainless steel and water bottles are aluminum and both come in white or silver brushed metal.